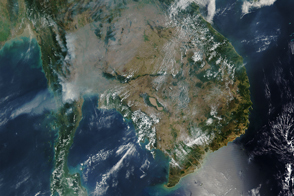 On April 12, 2017, the Visible Infrared Imaging Radiometer Suite (VIIRS) on the Suomi NPP satellite captured this natural-color image of fire and smoke in South and Southeast Asia. 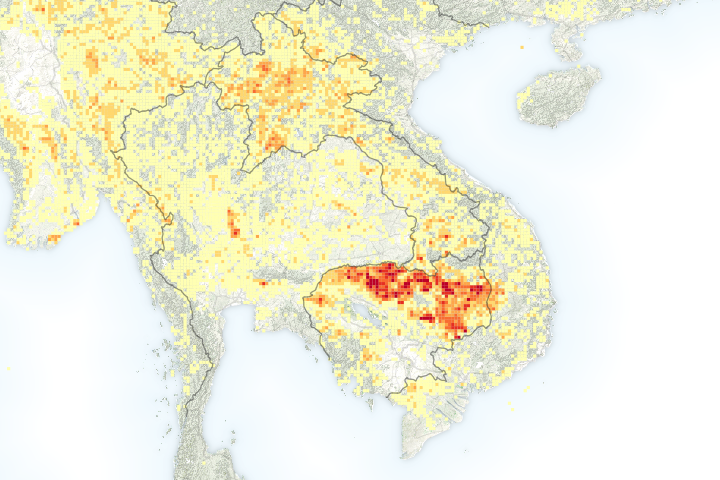 The red outlines are areas where the satellite detected heat signatures indicative of active burning. 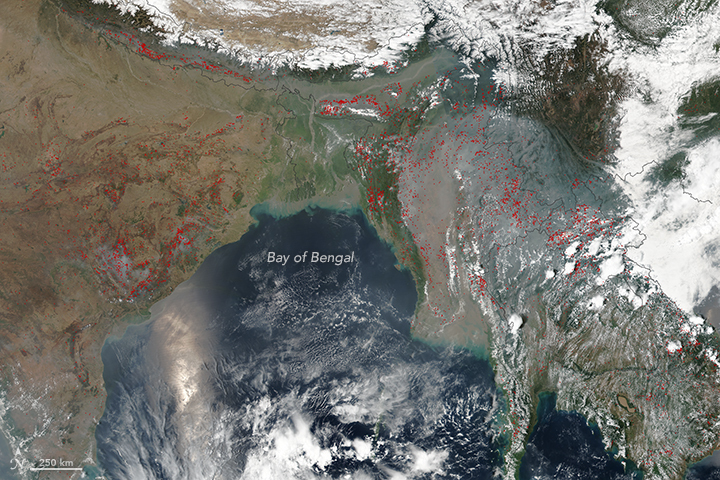 Many fires in this region are set intentionally for agriculture and land clearing purposes. 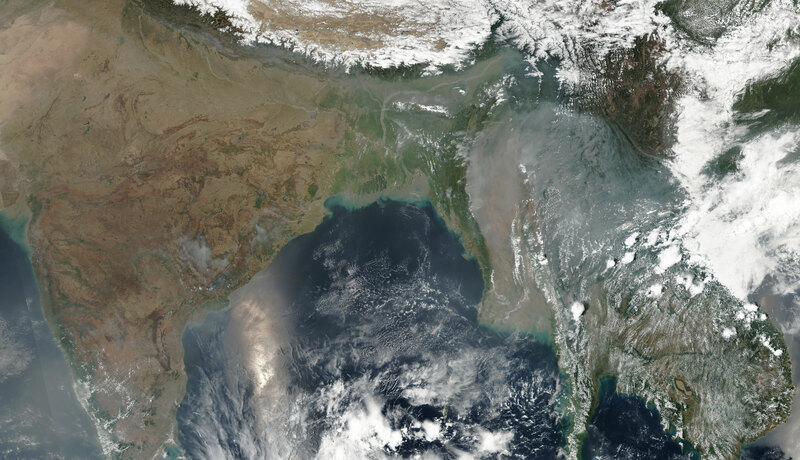 In April 2017, smoke billowed from fires burning across South and Southeast Asia.